There was a time when a former UK Prime Minister might have sidled off into retirement with only a book deal for company. But, times have changed. So, it comes as no surprise that ex-prime Minister David Cameron is back in the news with a case of Cameron speech payday.Yes, he's started the job of converting his knowledge, skills and experience gained in 10 Downing Street into dollars. His first public speaking engagement was at DePauw University, Indiana. And since this was his first major event for several months, the world's media took an interest. Their interest was understandable. They've got questions about Mr. Cameron's exit from office, his exit from Parliament and, of course, Brexit. So many questions. So, Mr. Cameron took to the podium and got stuck in with his explanations of populism, victimhood and the state of the Euro zone. There's no doubt it was interesting. Particularly since you guess it will be the core of his autobiography. I can't believe for one minute that people will be as fascinated in his hand holding coalition adventures with Nick Clegg. Well, I hope not. First the speeches. Second the autobiography. Then more speeches and probably the directorships will follow. It's a well-practised route for the modern politician. But, is it a route that will endure as the nature of politics becomes faster and more odious? Still, you can't query the maths. 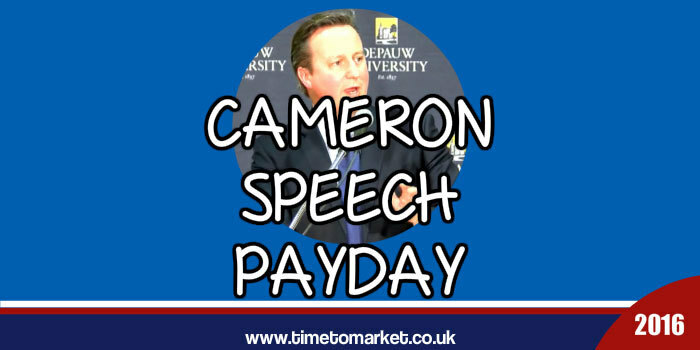 The Cameron speech payday is now underway. Which is fortunate since his former Chancellor, George Osborne is positively minting it on the public speaking circuit. Because the Parliamentary register of interests shows the ex-Chancellor earning £320,000 since he was sacked by Mrs May. His public speaking gigs include events delivered for Citi, Blackrock Financial and Centerbridge partners. That's not bad for a Chancellor who only a few years ago struggled with conference speaking. A David Cameron speech payday and an Osborne jackpot. Nice work. However, it's still a pittance when you compare it with the Bill Clinton speech dollars. Now, that really is off the scale. 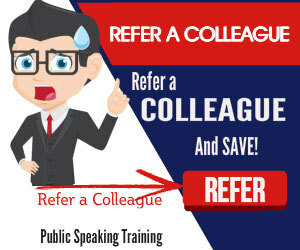 You can discover a bonanza of public speaking tips with the Time to Market series of posts, podcasts and training videos. 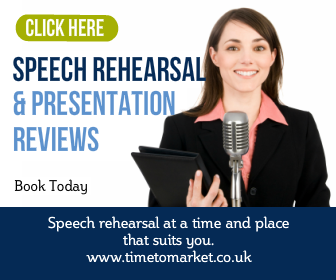 And, when you are ready to boost your own public speaking skills, then please don't hesitate to get in touch.